Taking cognisance of the fact that agriculture, and in general rural area, is under distress, the budget 2017-18 allocated ₹35,984 crores, the highest amount so far, for agriculture and farmers’ welfare. With this, the government intends to address issues of optimal utilisation of water resources, create a new infrastructure for irrigation, conserve soil fertility with balanced use of fertiliser and provide connectivity from farm to market. 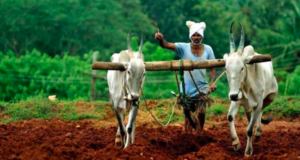 With an intention to revive the fortunes of farmers for the better overall growth of the economy, the government aims to double the farmers’ income by 2022. This is indeed a tall ask given the fact that the contribution of agriculture and allied sector to the Gross Domestic Product (GDP) has been declining over the years. Agriculture and allied sector employ about 49 percent of the nations’ total workforce, however, it accounts for only 14 percent of the GDP -indicating the dependence of a large worker population on a relatively small income. Agriculture has been neglected all these years. Investment, if any, has been targeted at low-productive instruments and mistargeted subsidiaries. Minimum support prices (MSP) for crops given to farmers has failed to provide sufficient income. Agriculture has been neglected all these years. Investment, if any, has been targeted at low-productive instruments and mistargeted subsidiaries. Minimum support prices (MSP) for crops given to farmers has failed to provide sufficient income in the hands of farmers to buy two-time meals, forget about the leisure of 24-hour electricity and water supply. To bring about a technical change in agriculture and raise farmers’ income, the government will have to hike public expenditure in agriculture – in the form of increased investments in infrastructure (in irrigation, rural roads & electrification, etc.) and targeted subsidies. 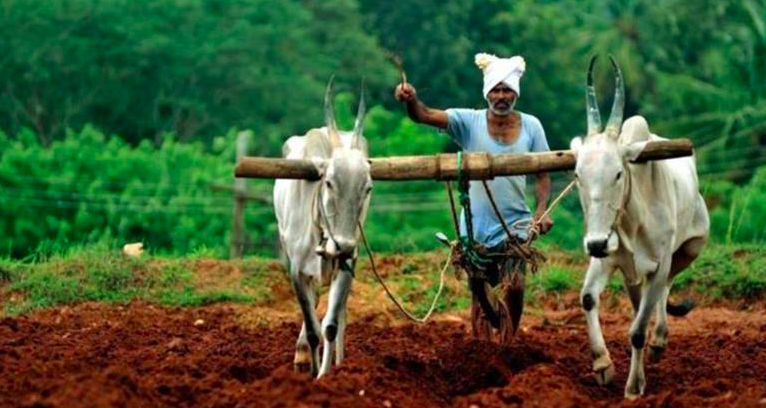 Farmers can be benefitted only when the new agricultural technologies are utilised by them at the field level. In one of his addresses, Prime Minister Narendra Modi stated that the country’s development is not possible until our village and farmers are not developed. Almost half of the workforce in India is still dependent on agriculture and, hence, growth in agriculture and allied sector is imperative for inclusive growth. In 2014, the Government of India announced Make in India initiative to make the country a global manufacturing powerhouse and propel economic growth. The initiative is yet to show a profound effect on the ground as the global economy continues to grow at low-single-digit rate, resulting in dwindling exports from India in the last few months. The only recourse to revive manufacturing sector is to boost domestic consumption. While urban areas have shown some signs of recovery (indicated by the growth in auto and consumer goods sales), the rural economy has been a laggard. In order to revitalise the sluggish economy, the government will have to invest in agriculture, which has the potential to create massive gainful employment and build domestic demand. Hence, ‘Make in India’ can be achieved only if agriculture sector also grows at a healthy rate (since while manufacturing can drive growth in urban areas, agriculture can enhance incomes of rural dwellers, thus leading to equitable growth in the country).“Agricultural produce is the biggest resource of economic activity and development in India. Along with fisheries, it has marked its presence as one of the largest contributors to the GDP. Whereas the manufacturing sector will fuel growth in the urban areas, the rural segment is completely dependent on agricultural growth. As a part of the ‘Make in India’ initiative, it is important to create a big base in the country for production of high quality agricultural allied industries,” opines Aggarwal. Economists suggest that the reforms should aim to move farmers out of agriculture to provide a cheaper labour force for the industry. But, will the industry (given the current economic condition) be able to generate employment to absorb this relocated workforce? Growth without employment generation can lead to unrest among the youth, whose population (youth of 15-29 years) is expected to swell to 156 million by 2020. Agitations by once powerful farming communities such as Jats (in Haryana, UP, Delhi & Rajasthan), Patidars (in Gujarat), Marathas (in Maharashtra), etc. for seeking job quotas indicate continued neglect of agriculture, which has turned farming into a low-income occupation. Keeping the rural youth engaged in fruitful employment (through investment in age-related activities) is the only way to keep the wheels of economic rolling. Or else, youth unrest can reach the doorsteps of urban dwellers.